ABOUT BOYS BY GIRLS BOYS BY GIRLS is a bi-annual print publication where female artists explore the beauty of the contemporary young man. Through a sensitive and poetic view, the images fall somewhere between art and editorial. At 160 pages of heavy, uncoated paper, Boys by Girls hovers between a book and a magazine. 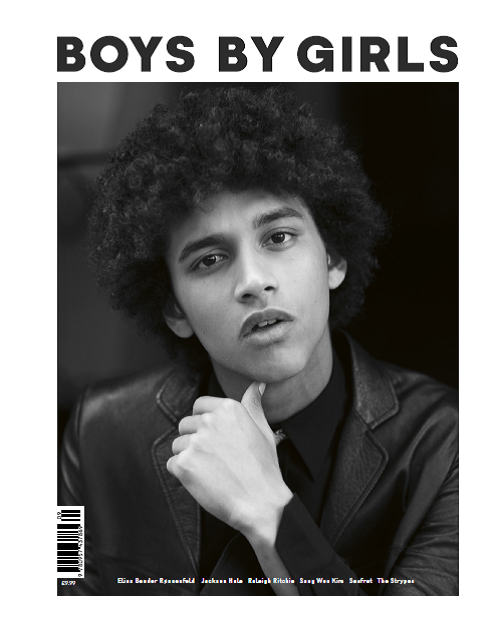 First released in May 2011, each issue runs with a different title and theme, focusing on menswear and the young male of today. Not only is the print issue distributed globally, but our online platform offers worldwide access with regular exclusive features. Boys by Girls merges fashion and portraiture, resulting in honest and beautiful photography.